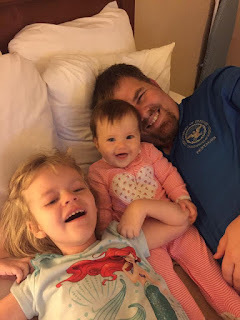 I've always liked the African proverb, "it takes a village to raise a child," but I really didn't know how true it was until we welcomed Grace into our family nearly six years ago. Since then, our little village has shown us such love and support in our quest to #beatINAD. As we count down the days to the second A Grace-Filled Journey 5K and one-mile fun run and walk, I think about all the people who have stepped up to join our little village time and time again. Our last race drew over 700 participants in more than 20 states and several foreign countries, raising $25,000 for INAD research at Washington University in St. Louis, MO. 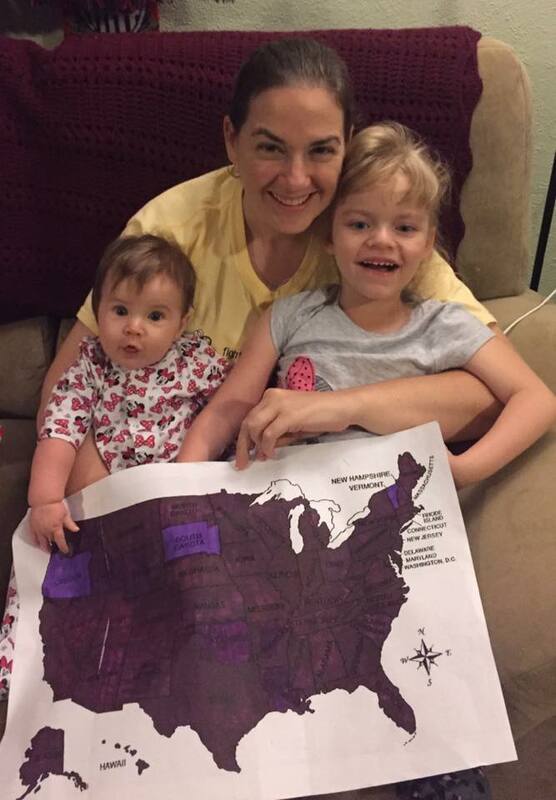 Celebrating that we got to color our whole map purple! This year, while we want to continue to raise fundraising dollars for Dr. Paul Kotzbauer's work, we also want to continue to raise awareness. With only 50 known cases worldwide, we don't want INAD to be something that falls through the cracks. We want to keep telling everyone we meet why we will never give up our fight. I now own more than a dozen (probably closer to two dozen) different Grace T-shirts, and I wear them all on a regular basis. 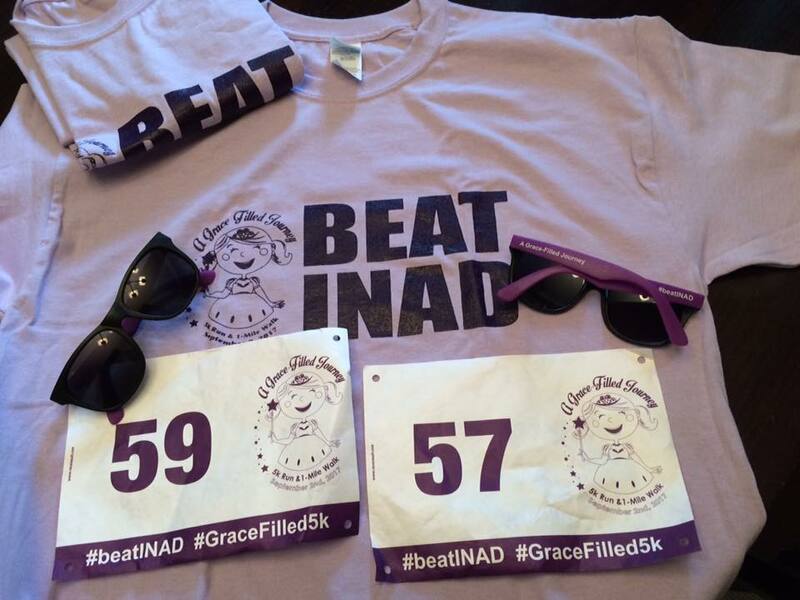 Last month, I was wearing my purple Volley for Grace shirt that said "Beat INAD" at the top. A salesclerk in a store stopped to ask me what INAD stood for. Her name was Dani, and she said that her brother often called her INAD, since it was her name backward, and she had never seen it before. I told her a little bit about our story, and before I knew it, she became one of our followers on Facebook. Something as simple as wearing a shirt helps to raise awareness each and every day, and I can't tell you what it means to us when we see people out and about wearing a Grace shirt or a gracelet, and knowing that someone is thinking of us and remembering Grace in their prayers. As we started to make plans for this year's race, I got the idea that it might be fun to try and see if we could get participants in all 50 states. Two years ago, we got nearly halfway there, without really even trying. I shared the idea with Kyle, Johnny and Emily, who all thought it would be a great way to raise more awareness. When the online registration officially opened, we made a very large map of the United States, and colored states purple as they got signed up for the race. We also made weekly update videos, giving progress of our goal. 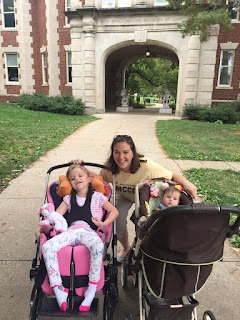 The first weekend of August, we filmed the video at my alma mater, the University of Missouri in Columbia with 25 states to go. I have to admit I was a little skeptical that we would be able to pull off finding someone to join us from all 50 states, especially since we had so many left in the northeastern part of the country. But never one to back down from a challenge, we continued our search, humbled as people we didn't even know began to share our posts, tagging friends and family they knew in other states. One by one, we began to whittle down the list, leaving only Vermont as the last holdout. 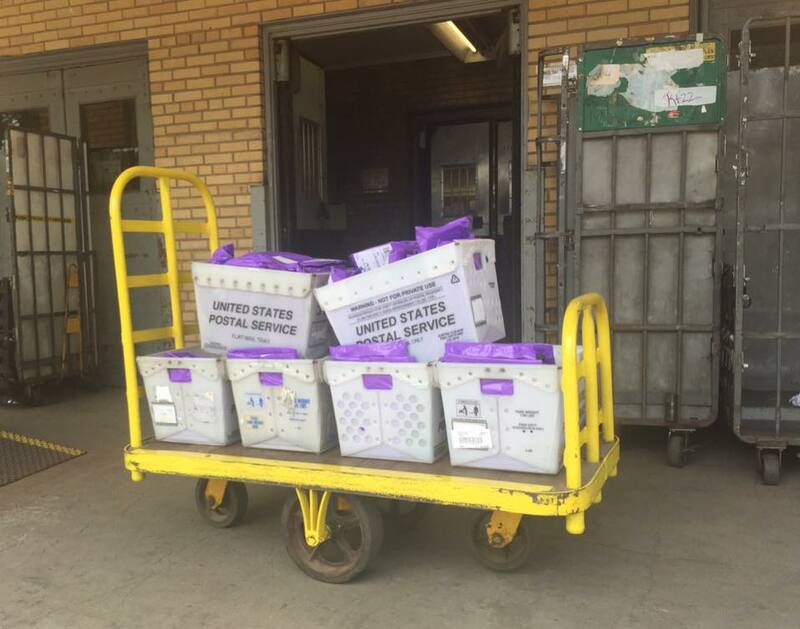 I can't tell you how many people would send me messages to tell me they asked friends in this state or that state, and the excitement truly began to grow. We even managed to pick up a runner in Vermont. So, here we are, with less than one week until this year's fundraiser. More than 500 from all over the country, and in five foreign countries (Japan, Thailand, Canada, England and Australia) will be walking or running on Saturday to raise awareness for INAD. We are so incredibly humbled that our little village continues to step up to the plate and join our Grace-Filled Journey. 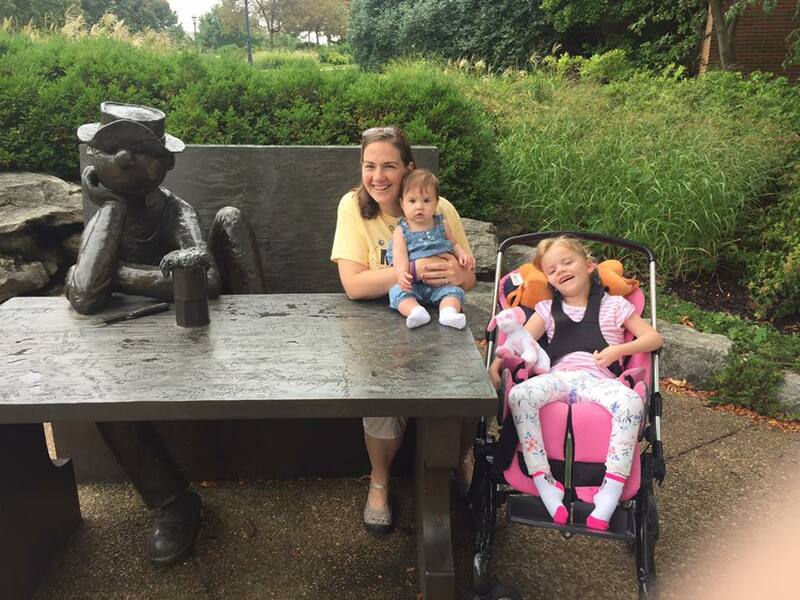 Six years ago, I never knew what kind of village it would take to raise Grace, but I can't think of a better place than Montgomery County to call home. 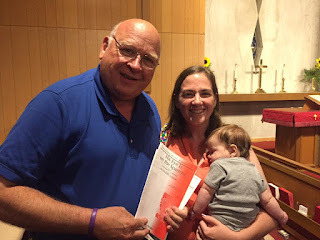 This week's children sermon at church was about a book, God Gives Us Thankful Hearts, and how we can ALWAYS find a reason to be grateful if we stop and think about it. I needed that this week. We've definitely been busy these last few weeks with lots of fun things to do. 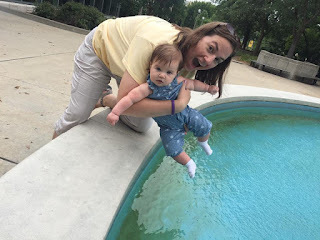 And while I look forward to new adventures with my family, I can also get wrapped up in what Grace can't do, especially when it's things I wish Grace could participate in. It's easy to get sucked into a pity party when my heart aches for Grace to ask to ride the carnival rides at Old Settlers or beg for a stuffed Truman tiger on her first visit to Mizzou. Times like that, it's easy to refuse to be thankful, to spend your time wishing for something that just isn't meant to be. But like the little pup in the story, it's worth the extra effort to be grateful in all things. So, even though I wish things were different, I'm grateful for all the times we got to spend together as a family these last few weeks. Choir practice for the community choir. 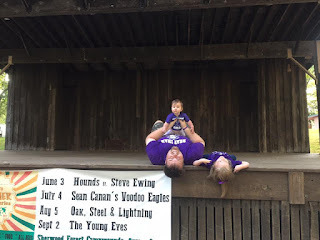 It started with one of our favorite hometown celebrations at the end of July, Old Settlers. The first day starts with a Sunday church service, and I always read the Memorial Prayer (which is something that was started by my grandparents). I even wore one of my grandma's necklaces to church that day. Kyle also encouraged me to sing in the community choir. That's a pretty big deal for me, since it meant he would have to wrangle both the girls in church by himself. 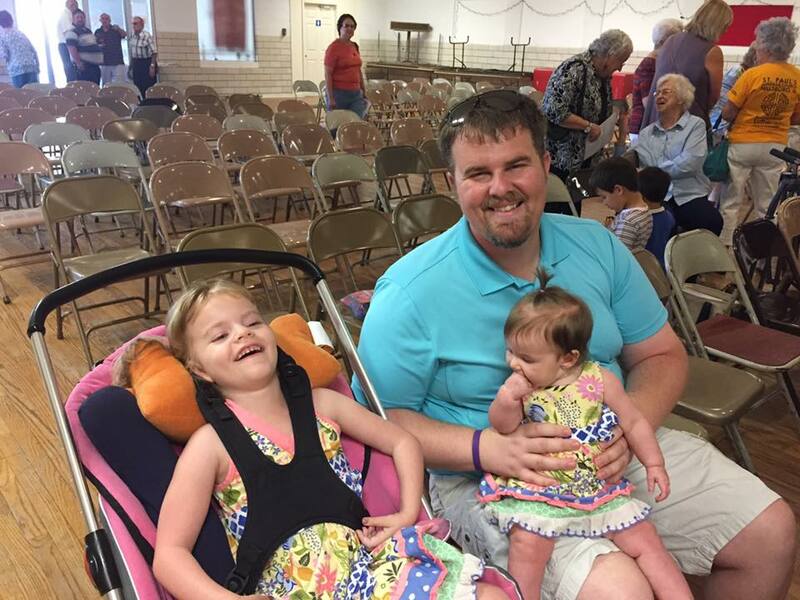 Here's something to be thankful for: Grace sat very patiently during the service, and Charley fell asleep on Kyle's shoulder. After church, we made our way down to The Zone for the annual pigtail and ponytail contest, where Grace won a second place ribbon for her pigtails! 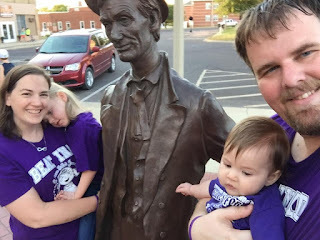 Although Grace didn't have enough hair to enter the contest her first Old Settlers, Charlotte got her little ponytail measured, and she didn't get a ribbon, but she sure looked cute. 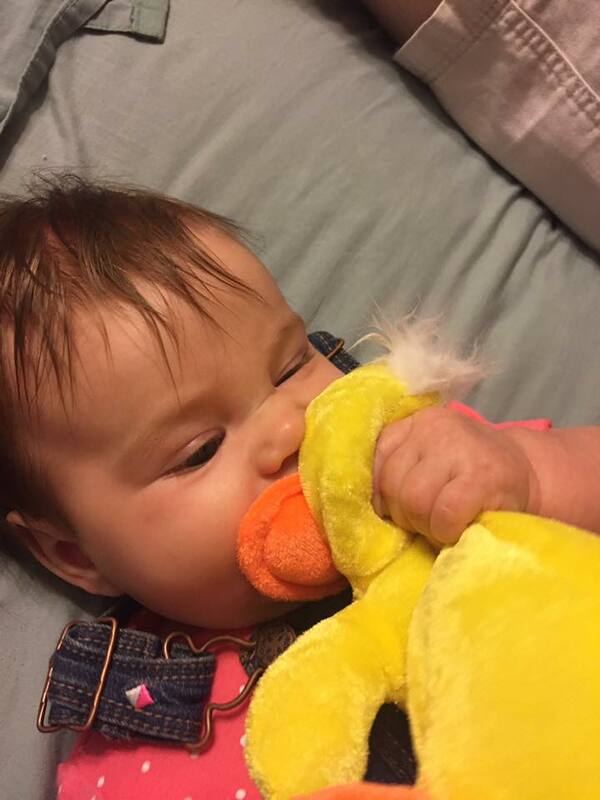 We also entered some of her baby pictures in the photo contest. For us, it's always so much fun to participate in the local celebration. 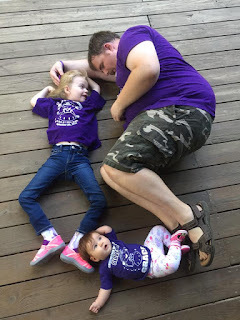 They also had a baby crawling contest on Sunday, and even though she hasn't started crawling yet, Kyle did ask if Charlotte could enter and maybe learn a few pointers. We let her watch instead. 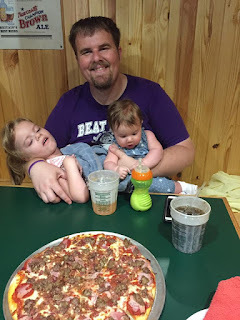 Then, it was time for Kyle to take the girls home, while I finished covering a few things for the paper. I feel blessed that Kyle is such a big help with the girls, and that he does such a great job taking care of them. Our infamous Old Settlers celebration continued on Wednesday and Thursday that week, and our very favorite part is the Kiddie Parade. Kyle and I have so much fun putting together an idea each year and entering in the Mini Float division. The first year, the theme was "_____ Makes Me Smile," and we made a kissing booth. I think that one is still Kyle's favorite. 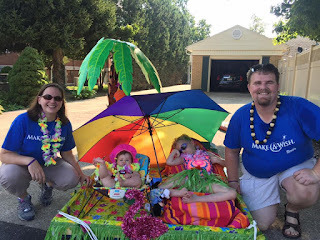 This year, the theme was "Oh, the Places We Love to Go," and we made a Hawaiian-themed entry in honor of Grace's Make-A-Wish trip to the Disney resort Aulani. Although we lost a palm tree (or two) along the route, we were proud of our entry, and the girls seemed to enjoy all the attention. Well, mostly just Grace. Charlotte slept the entire parade. 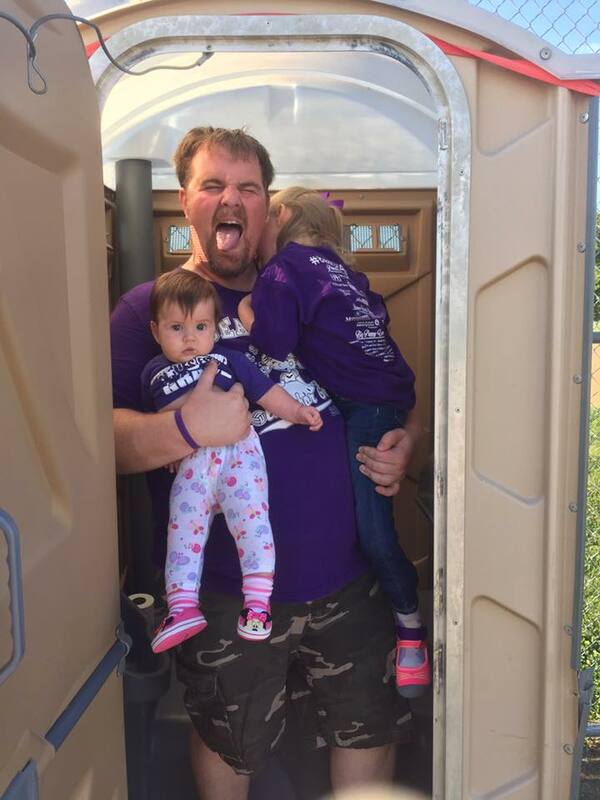 After the Kiddie Parade was over, it was kind of warm, so Kyle took the girls home for the afternoon. I was hoping to take Charlotte up to the Duck Pond for her very first Old Settlers, but both girls were hot and tired. Later that night, Kyle encouraged me to head back up town and take her since it was a tradition. 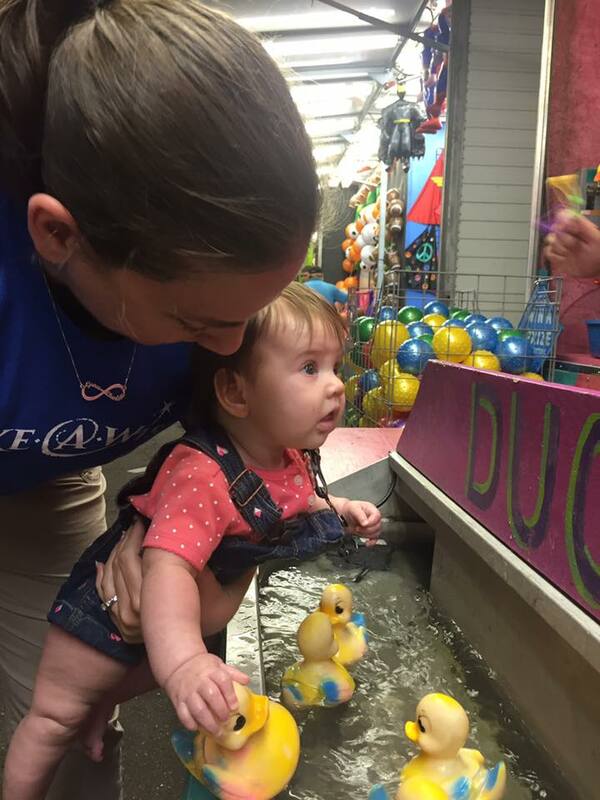 Charlotte couldn't get enough of all the lights and sounds of the carnival, and even won a stuffed duck, that Kyle named Carney. We had only a couple of days to rest up until our next adventure, a road trip. Our nephew, Keelen, turned two in August, and we headed to his house in Fulton, MO, for a party. 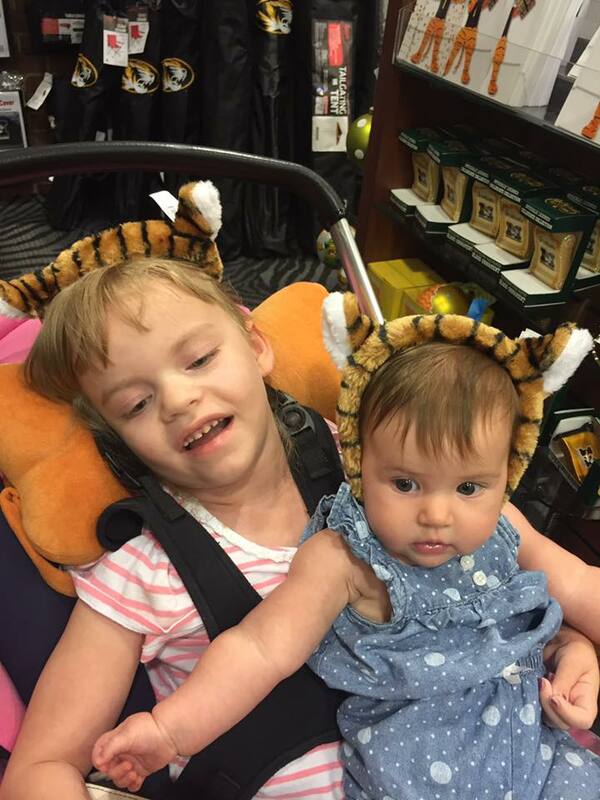 We really enjoyed seeing much of Kyle's family, and both girls got more attention than they knew what to do with! And I think Kyle was especially proud of the 110-piece set of Mega Blocks we got Keelen for his birthday. 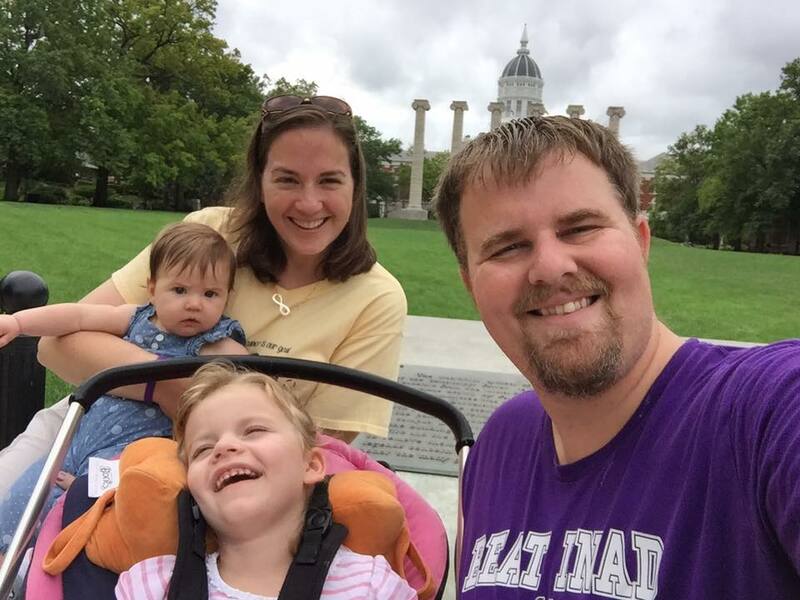 Since it's such a long drive, we opted to spend the night in Columbia that night, and walk around my alma mater, Mizzou the next morning. 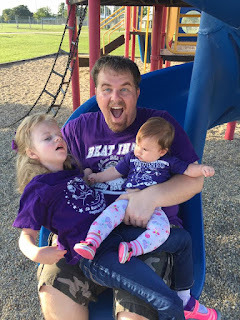 Kyle has been with me once to the school, but it was the first trip for both girls. As we drove into Columbia, Kyle asked why I was a little sad. I told him that Columbia was my home for four years, and the people that made it such a special home to me were other places now. And while I missed them, it was fun to walk around all the places I spent so much time. 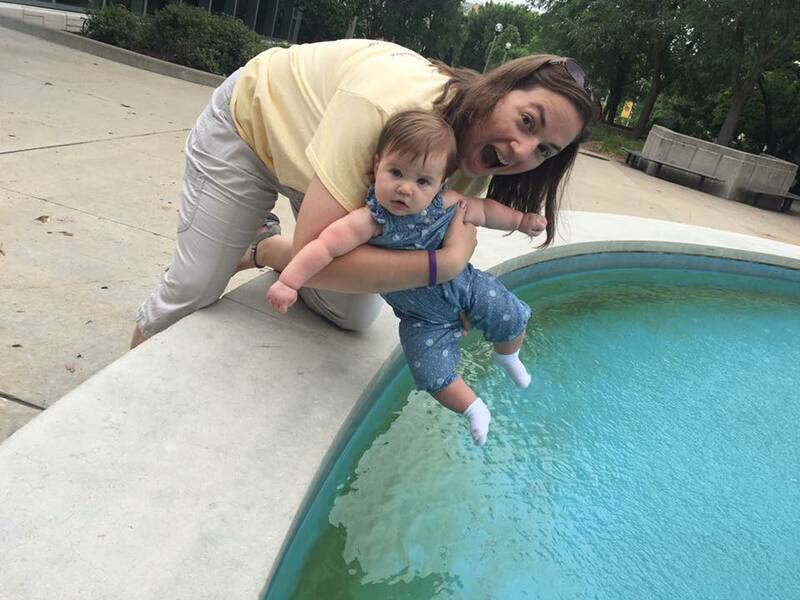 Don't drop me in the fountain! We started off at the columns, walking around the School of Journalism, the statue of Beetle Bailey, Memorial Union and even had lunch at Shakespeare's Pizza. Kyle wanted to get each of the girls some Mizzou gear to remember their first trip, so I picked a yellow and white striped dress for Charlotte and a black "I Love Mizzou" shirt for Grace. He even let me get him a bowtie. I wasn't going to get a souvenir, as I still have lots of Mizzou stuff, but a bright purple Mizzou shirt caught my eye, and it came home with us too. It's hard to believe it's been 19 years since my freshman year of college at Mizzou. I'm not sure I could ever have envisioned the adventures my life would take me on when I started, but I am so glad I got to take my family to see the place where I fell in love with journalism. We managed to stay home for a few evenings during the week, before finding a few new adventures this weekend. 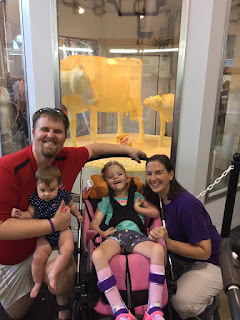 Since Grace has physical therapy in Springfield on Fridays, we decided we would head to the Illinois State Fair after her session. We have taken Grace a couple of times, including one trip, when she got her very own AmTryke. We decided to head for some lunch in the commodities tent first. I went for a pork twister, which is a pork kebab, wrapped in bacon, and Kyle went for a prime rib sandwich. We figure we had to walk enough that day! Since it took awhile for me to feed Grace, Kyle offered to get us some pie and homemade ice cream too. 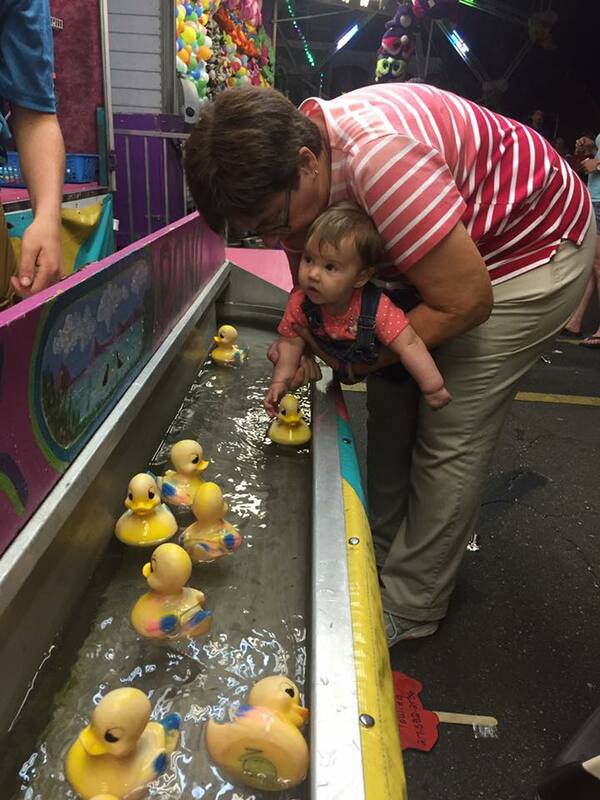 We probably should have taken a few more laps around the fair. Sometimes I wish Grace could get as excited about fair food as we do, but I feel blessed we are still able to feed her. 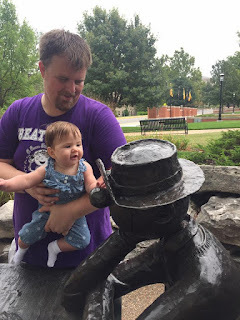 Charlotte, on the other hand, just loved sharing a few bites of ice cream with her daddy. Then it was off to one of our favorite stops, the butter cow in the Dairy Building. A nice passerby even offered to take a family photo of the four of us - and Grace gave him the best smile! 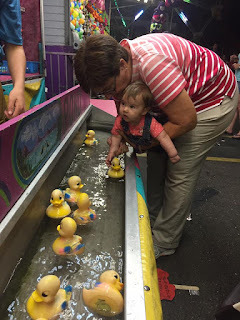 We spent most of the rest of our afternoon at the fair just wandering around. Kyle and I talked about the things we used to do with our families at the fair, and how much we have always enjoyed coming. 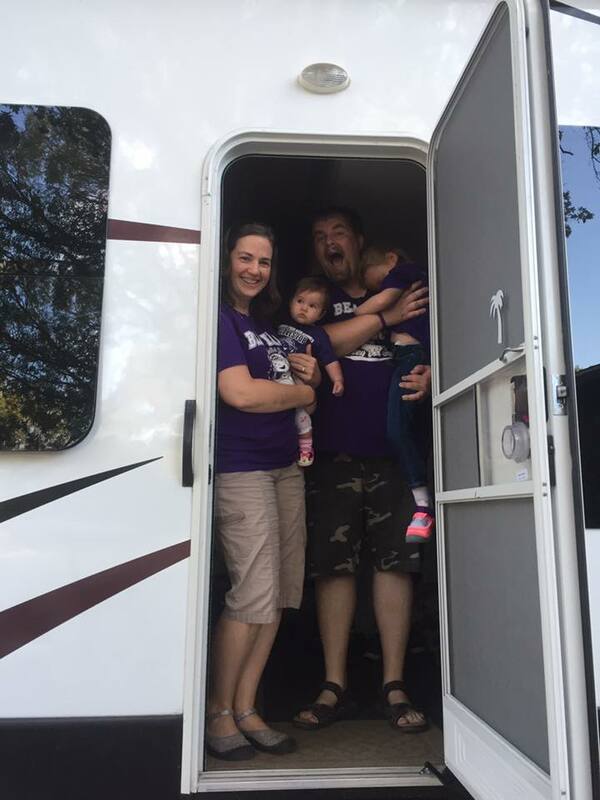 After a few hours, we headed back to the van, hot and tired, but so grateful for the chance to experience the fair as a family. The very next day, we decided to try something completely different. 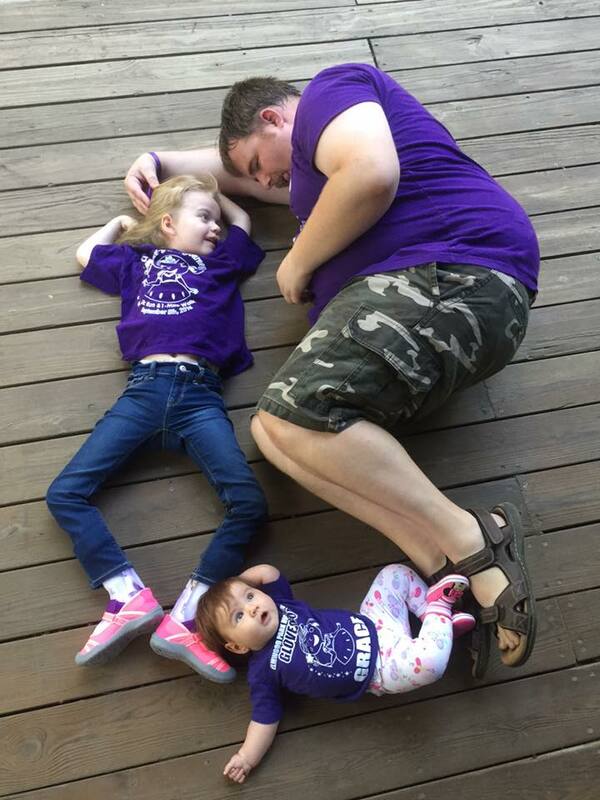 A local family was raising money for the Alzheimer's Association, and they were hosting a scavenger hunt with one division for adults and one division for families. We are always looking for things that we can do together and just have fun with, and this seemed to fit the bill. 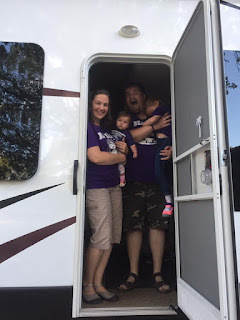 We got our list of items, and even though we couldn't do them all (like make a human pyramid of all our teammates), we had fun taking photos in a camper, walking a stranger's dog, in a porta potty, on a slide and jumping up in the air. We also made a few videos, and Kyle had to run the bases of a ball field twice when I forgot to start the camera. That night, there was lots of laughing, lots of smiles and lots of memories. It sort of made us forget that Grace even has INAD, and we felt like a regular family getting to do something together. I hope we get to do it again soon. This Grace-Filled Journey can be a tough one. Even on the best days, it's still hard not to wish things were different. But we learned a long time ago, that you may not like the cards you're dealt, but you still play the hand to the very best of your ability. By wishing things were different, I might miss out on some really great moments and memories with Grace, and there's no chance that I want to miss any of her gorgeous smiles. So, tonight, I remember to be grateful for my awesome family and to many more wonderful adventures together. Ever since working on our very first home renovation project last winter, I've been trying to find a place to put things away and get rid of things we don't use very often, or really ever. And I must be doing a pretty good job, because Kyle told someone earlier this summer that I gave away everything that wasn't nailed down. I took it as a compliment. A self-proclaimed pack rat all my life, I often find it challenging to get rid of things, especially those that I hold sentimental value to. But after Charlotte was born, it seemed only fair to give her a bedroom in the house, which required a bit of spring cleaning. Since Grace got what used to be Johnny's bedroom, Charlotte was slated to get my childhood bedroom. Now, let's be honest. The reason Grace got the other bedroom is because my old bedroom was still full of many of my childhood possessions, and things I was certain I would never part with. But it did seem like we should make room for someone new, and get rid of some things that I hadn't seen in years. Growing up, my mom convinced us to get rid of old toys by having a yard sale. It was a way to get rid of some things we had outgrown and we could get a little extra spending money. Anytime I had trouble parting with something, like my entire collection of Babysitter's Club books, mom would remind me that getting rid of things I didn't use anymore was a chance for someone else to get some use out of it. And somehow that's always stuck with me. When we were cleaning out the office for our renovation project, I cleaned out my Mary Kay cabinet. 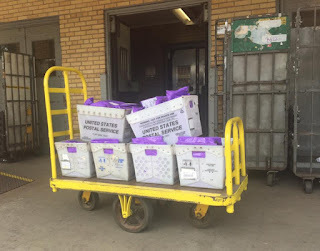 I had several years worth of samples that I wasn't going to be able to use for my customers, and Kyle suggested I donate them to the Elizabeth Ann Seton program. 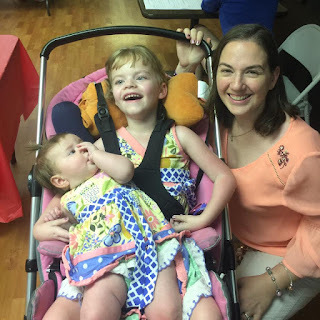 Each year, they host a Mom Prom event, and I hoped they would be able to provide makeovers for some of the prom-goers, or even provide make-up samples for women going on job interviews. Executive Director Dawn Morris told me she was thrilled with the idea, and even made special valentine gifts for their clients with some of the samples. She thanked me several times for the donation, but it was really me who was grateful for a chance to pass something on that would be useful to someone else. Parting with make-up samples was one thing. Parting with my nearest and dearest childhood possessions, well, that was another story. But in order to get a room for Charlotte, I was going to have to get busy. Fortunately, I have a wonderful mother and mother-in-law who agreed to help me on this monumental project when I was home on maternity leave. My mom helped me to clean out the nursery, while Kyle's mom entertained both of my girls, and I am forever grateful to them both. The first thing I got rid of was two diaper boxes full of Beanie Babies. During the initial Beanie Baby craze, my mom helped out in the hospital's gift shop, and often came home with some of the latest and greatest Beanie Babies for us. I was especially partial to the bears and the cats. And while they were fun to look through, they weren't doing much good sitting in plastic tubs in my old closet. So, I picked three to save, and boxed the rest up for our church's Operation Christmas Child shoebox program. Picturing the delight on those children's face to find a sweet stuffed toy for Christmas brings me much more joy than those same stuffed animals sitting in a box in my closet. And I moved on to the next thing to get rid of, two plastic tubs of Prom and formal dresses. After high school, I saved those dresses, absolutely certain I would have cause to wear them again. And to this day, I have not. But in the spirit of making sure my things went to good use, I found the Cinderella Affair in Bunker Hill, which accepts used formal dresses and provides them to girls in need for a variety of occasions. So, I packed up not only my old Prom dresses, but also all my old bridesmaid dresses, in hopes someone will feel as pretty in them as I did. Those two weeks, I certainly did a lot of cleaning in that room. I enjoyed going through old things, remembering special times or places. And in the end, I saved two small plastic tubs of things, like pictures, my Salutatorian medal from high school, my diplomas, coins I got on my trip to Europe and a few other things I just couldn't bear to part with. But we packed boxes and boxes of things to take to Goodwill, in hopes someone will be able to get as much use out of them as I did. I'm not sure I could truly become a minimalist, but I definitely see the value in letting of some things that others might find a new use for. I'm sure one day Charlotte will be grateful, as she finds her own treasures to store in that room.